Part II and more! | TenPic! 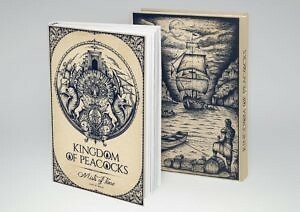 After the success of the first trilogy of Kingdom of Peacocks, we’re thrilled to announce that our director and author Fadel AlMheiri is in the process of writing the second part of Kingdom of Peacocks. We also would like to inform you that the novel is being translated to Arabic. Or you can simply contact us at Info@TentPic.com and we will happily ship it to your door.